From skyboxes to bleachers, fans watch the images on TV or direct from the stands – athletes in the midst of executing a critical play collapse, clutching a calf, quadricep or hamstring. It’s a sight startling enough to silence the most deafening sea of vuvuzelas. For the injured, forced to leave the game for medical attention, they await an answer, whether the injury is significant enough that it will prevent them from resuming competition. 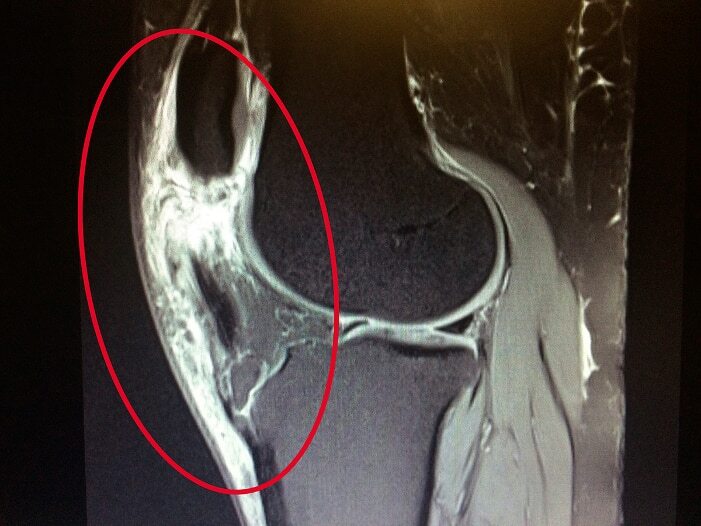 MRI (side view) of an injured quadriceps. 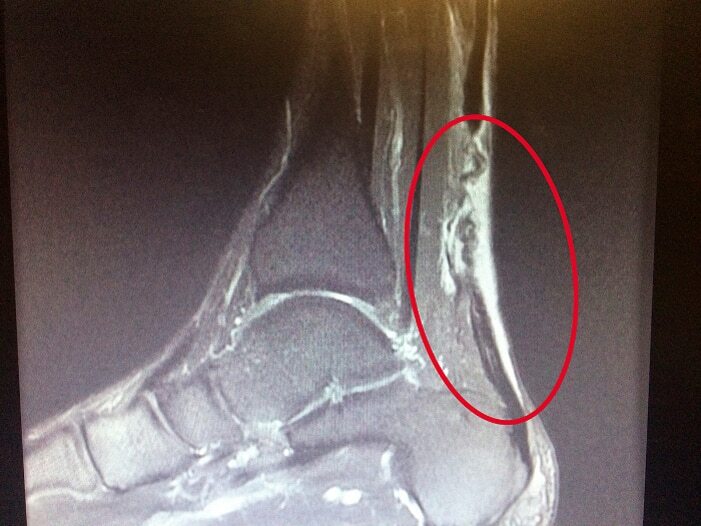 The site of injury shows up bright white on the left of the scan. Typically, when athletes suffer injuries that affect the upper or lower extremities, doctors often utilize x-rays and more advanced imaging technologies such as magnetic resonance imaging (MRI) or ultra-sound. Frequently occurring in the lower limbs, myotendinous injuries account for one third of all referrals to sports doctors.¹ Hamstring injuries are the most common form of these injuries in elite athletes who engage in sudden and rapid movements such as sprinting and jumping.² And although the frequency and debilitating impact of these injuries are well recognized, evidenced-based treatment options are not. 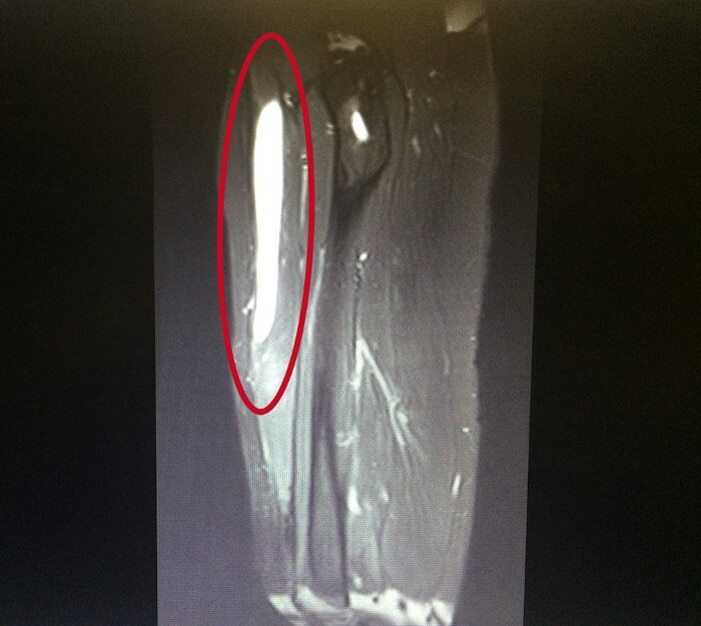 MRI (side view) of an injured patellar tendon, which holds the kneecap in place. This is the second CFP sponsored by the NBA and GE Healthcare. 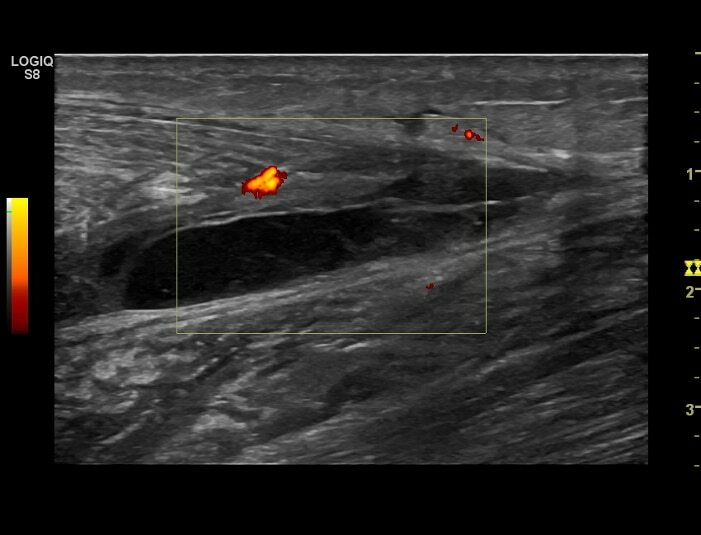 The first round was dedicated to tendinopathy research. The latest myotendinous CFP will award up to $1.5 million dollars over a three-year period to support preclinical and clinical research. More information and complete CFP instructions and application forms are available at the NBA & GE Healthcare collaboration site.